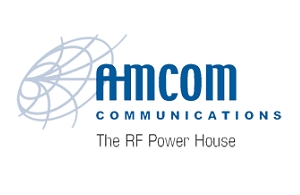 AMCOM was established in December 1996 by a group of microwave designers experienced in both microwave circuit design and microwave device fabrication technology. It is located in Gaithersburg, Maryland, USA, about 20 miles northwest of Washington, DC. The company has earned a reputation as a leading edge microwave design organization that includes power FETs, MMIC power amplifiers, as well as high-power amplifier modules with RF and DC connectors that are ready to be used in microwave systems. One of their specialty products is high-power, broadband, high-efficiency power amplifiers. AMCOM has all the expertise, man power, space, and equipment for manufacturing state-of-the-art products. Some of their capabilities are: active device design, MMIC design, and power amplifier module design. In addition, they are experts in device/MMIC packaging, module assembly and RF/DC testing. For active devices, they either procure parts such as silicon LDMOS, or GaN HEMT, or they use a semiconductor foundry to fabricate our own proprietary device/MMIC. One of AMCOM's specialties is custom designing MMICs and modules to meet the customers' specific needs. The custom products include all front-end components such as low-noise amplifiers, power amplifiers, switches, attenuators, phase shifters, and up/down converters.